Calling Melbourne’s vibrant suburb of Blackburn South home, East End strikes the perfect balance of interior luxury living and the great outdoors. 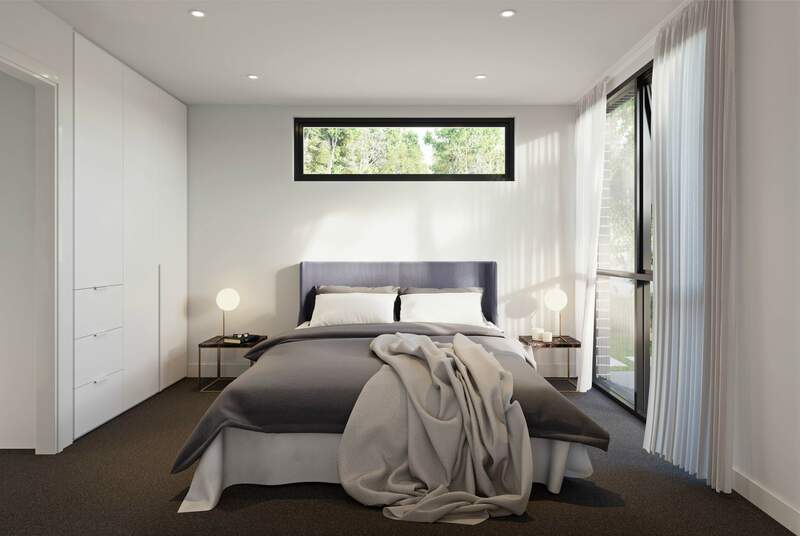 East End is a boutique collection of 21 residences located between the CBD and the wondrous Dandenong Ranges. Designed and developed by JSP and Point Architects, the project’s facade exudes modernism with an overarching theme of the natural world. Timber panelling and flowering vines exist in symbiosis with the building’s linear, monochrome structure – a sight to behold on the leafy neighbourhood street. With premium finishes and bespoke detailing by the acclaimed CoLab Design Studio, the homes’ interiors are afforded a unique and appealing aesthetic. The sense of quality craftsmanship can be felt throughout the open-plan living room, from the formal dining space to the relaxing lounge area. And with natural light spilling in through expansive glazing, the space is enhanced to enchanting effect. The spacious living area impressively opens out onto private gardens in ground-level residences and large terraces in the upper-level residences. Both serve as a lavish space for tranquil respite or entertaining friends and family. The kitchen is dressed in white with clean cabinetry and a luxurious marble island bench. Complemented by timber floorboards underfoot and feature timber shelving overhead, the culinary space is not only visually tasteful but also designed with functionality at the forefront of all decisions. After a long day, relax into luxury in your bedroom, where comfort reigns without compromise. With soft carpets for sensitive bare feet and a large closet space for fashion fiends, East End bedrooms make for effortless mornings and peaceful nights. 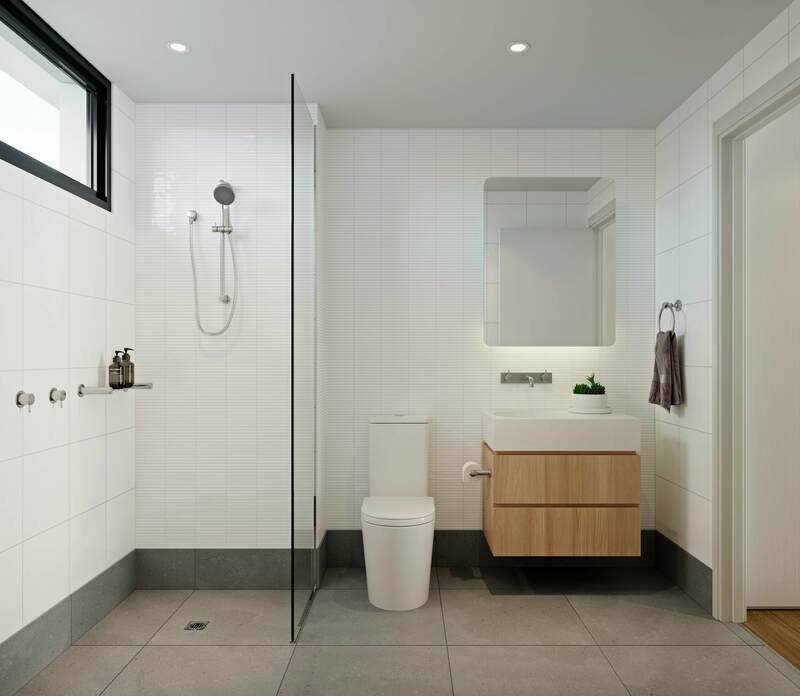 Echoing the kitchen’s approach, the bathroom embodies a fusion of functionality and design. Textured white and grey tiling lends the space a point of interest while the back-lit, smooth-edged mirror instills a sense of modernism. Warmed by timber shelving beneath the vanity, the overall aesthetic is expertly balanced. East End is positioned centrally in the exclusive neighbourhood of Blackburn South, home to an exceptional array of retail, dining and recreational delights. A favourite eatery among locals is Aunt Billies Cafe, offering delicious brunches within walking distance of your home. For shopping, make your way to Box Hill Central, a collection of fashion, grocery and speciality stores to satisfy your retail cravings all day long. The surrounding luscious parklands at Blackburn South allow for perfect nature-infused weekends. Just a 5-minute walk from East End is Gardiners Creek, the starting point of a fantastic nature walk which leads you to Blackburn Lake Sanctuary. More green spaces in the area include Box HIll Golf Club, Soccer Club, Rugby Union Club and Skate Park – if serenity is what you seek, look no further than Blackburn South’s beautiful setting. 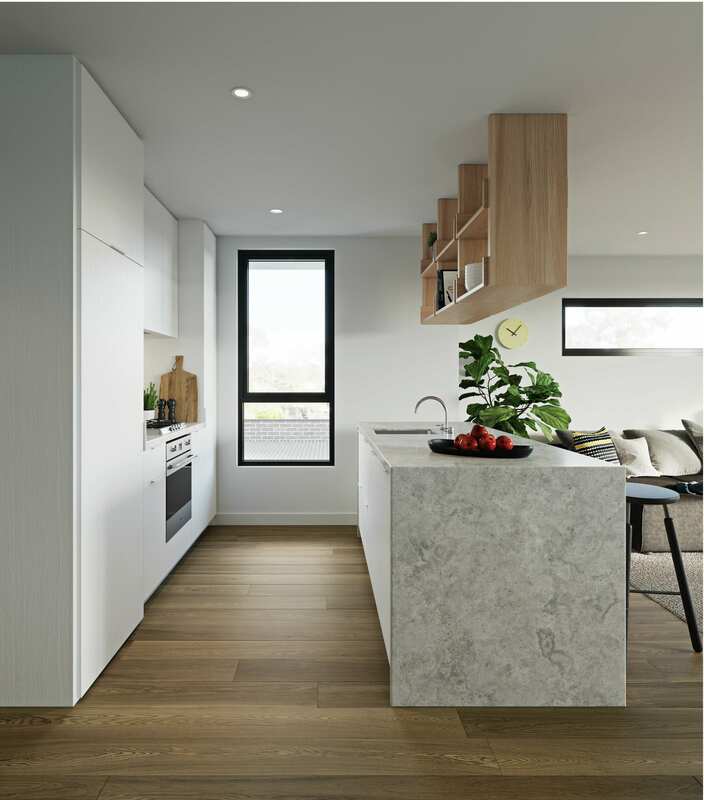 For more information or to enquire about East End apartments, click here.